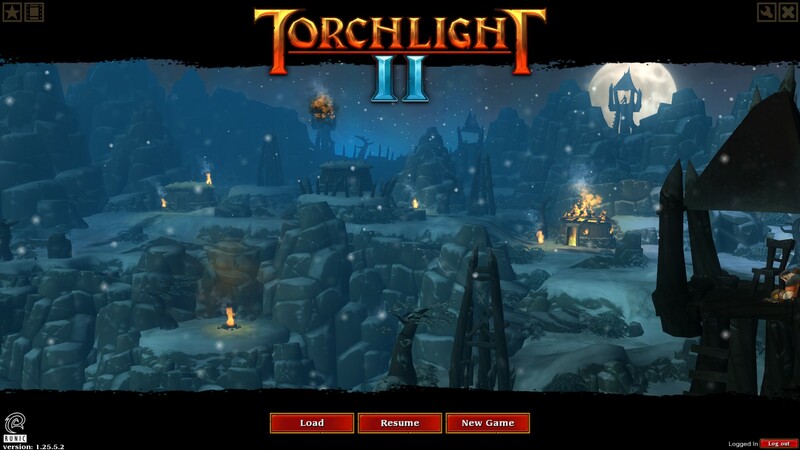 This is the screen you’re greeted with every time you start up Torchlight 2. You have to log into Runic’s servers in the bottom right corner to play online with others. I have fond memories of Torchlight on the 360, but after playing it for 14+ hours and 100% the game, I couldn’t help but feel a little deflated that there wasn’t more. 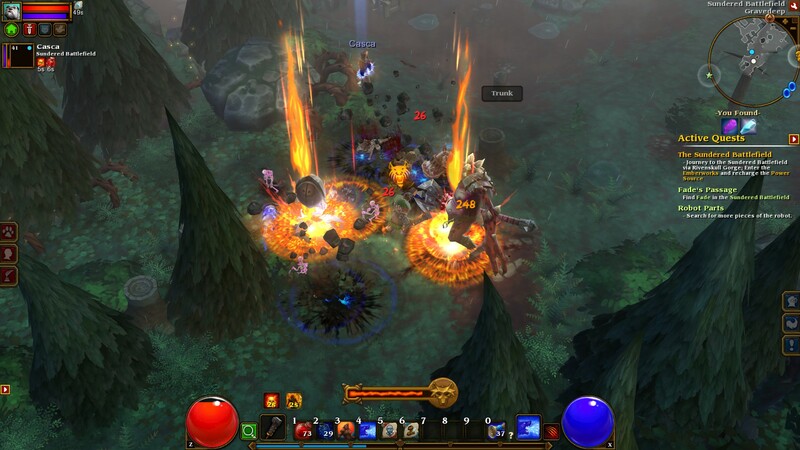 Torchlight 2 came out 6 months after my first review, but due to other games and other things happening in my life, I gave it a pass as I knew I wouldn’t be able to give it the time and attention it deserved. Finally, I got Torchlight 2 for £4.99 when it was on sale in March, but even then I put playing it off until I had someone else to play with. I can safely say, that as of this week, I have played Torchlight 2 from start to finish. Battles can get quite intense, making it difficult to see your own player amongst all the fireworks and gibs. 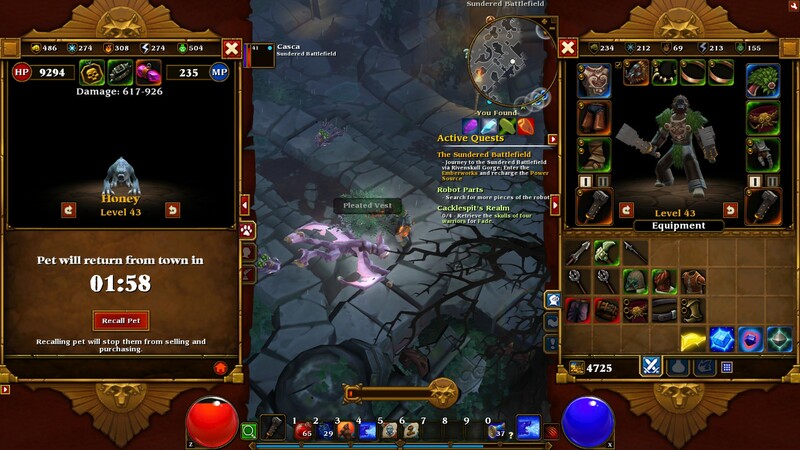 You start Torchlight 2 as you did the first game: selecting a class and a pet to go on your adventure with. From here, you get introduced to the main narrative that’ll keep you adventuring throughout the campaign, which consists of a very strong, evil Alchemist (the same one you could play as in the first Torchlight) being overwhelmed by the same evil that corrupted the caves under the original town of Torchlight. You start your epic quest just after Torchlight is destroyed, and you must embark on a adventure trying to put a stop to the alchemist as he makes his way across the world disturbing the peace. Not a bad set up by any means, I just wish the cut scenes were better narrated and higher fidelity to properly portray the story, as it stands, the cut scenes feel disconnected to the main campaign. The fantastic method of storing items with your pet has returned, even allowing you to send them back to town with the junk you want to sell, it was innovative back in Torchlight 1, and it continues to be a fantastic idea in Torchlight 2. Item management is still a pleasure in Torchlight 2; It’s very fast and easy to sort through all the junk you get on an adventure, and certainly helps you turn items into gold as and when you’d like. Most items can be worn by all classes, which means its very rare to get items that you can’t use. This feature was great for trading, as I was a berserker, and my brother was a mage, so we traded back and forth with staff’s and melee weapons. I can imagine playing this alone may make item drops a bit more boring, but as a whole, the item system works fantastic for a loot game like Torchlight 2. 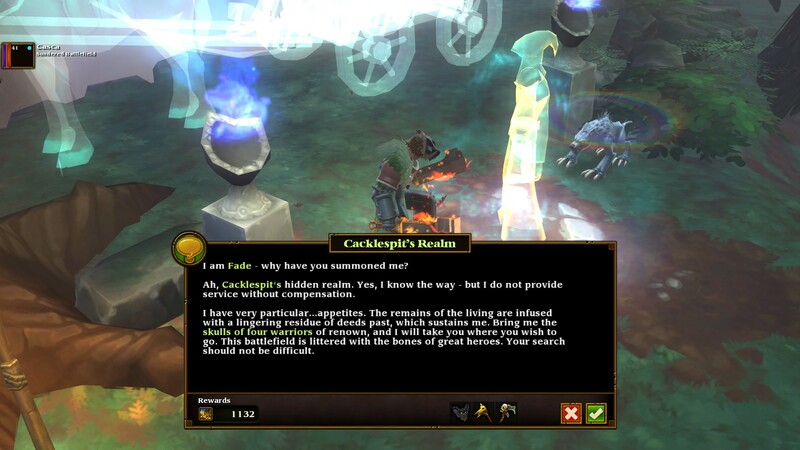 Quests are narrated, giving a nice feel to Torchlight 2. Most of the story and quests are boring, but for most people, that’s not the reason they’re playing Torchlight 2. In conclusion, Torchlight 2 is more of the same, but with elements that have transformed the feel to appeal to a wider audience. Is it worth the £14.99 asking price? My 20 hours of gametime is certainly a testament to how engaging it can truly be, albeit make sure to experience this with friends, playing alone I could only muster an hour or two before getting quite bored.